Choose your sport, choose your ride. Get out on the water and explore the solitude of a mountain lake. 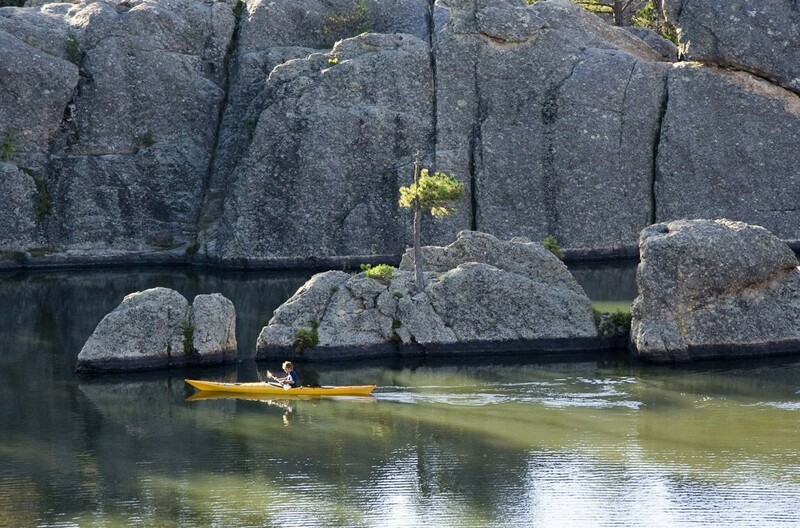 Clear waters, sandy beaches, picturesque rock outcroppings, and hiking trails that circle the lake—you could spend all day here. Life jackets are provided. All persons under 18 years of age must have an adult sign for the rental and adult supervision while in the water. 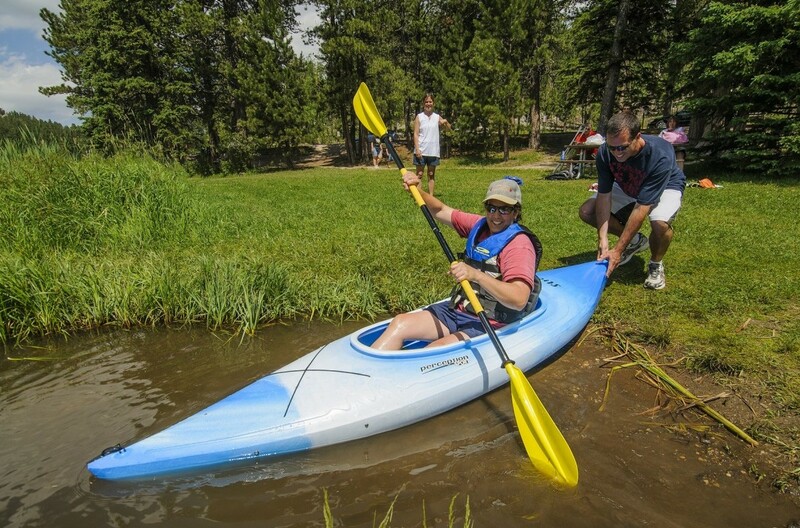 Watercraft rentals are available at both Sylvan Lake (605-574-2561) and Legion Lake (605-255-4521). Why not stay within walking distance to the lake? 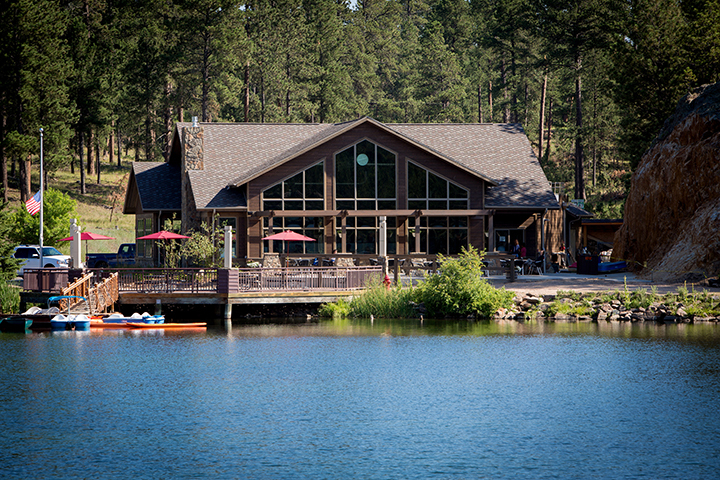 Enjoy full-service restaurants, on-site watersport activities, and wildlife watching from your window at both Sylvan Lake Lodge and Legion Lake Lodge. Fishing Licenses are available for purchase at all General Stores. Both Sylvan Lake and Legion Lake have swimming beaches and beautiful1-mile hikes around the lake, and others close by. See the wildlife up close. Our guide has pricing, reservation info, and coupons. 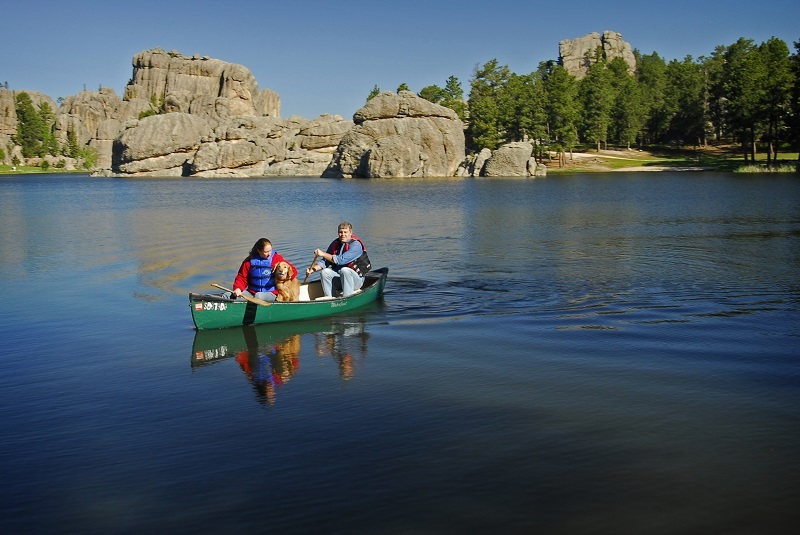 Stay just two or more nights and save big during your Black Hills Fall getaway: August, September or October. 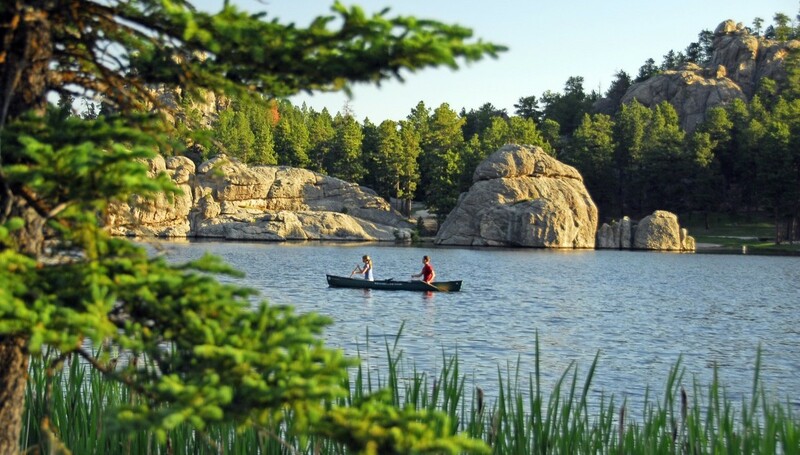 Custer State Park is known for its mild winters with more active wildlife. Our newest cabins at the Game Lodge remain open Nov-April at reduced rates as low as $99/night. Complimentary Continental Breakfast included.